Biol 7 to 8 minutes, stirring often (rolling boil). Cream margarine and marshmallows together and add chocolate chips. 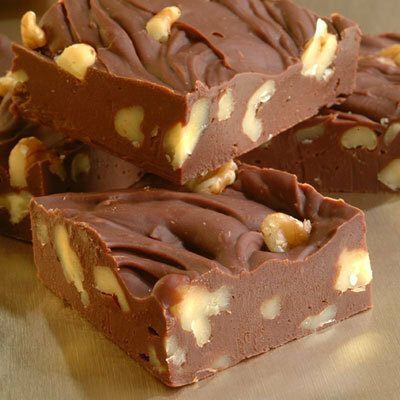 After chocolate has melted, add 2 cups nuts a teaspoons of vanilla, blend well, pour into buttered pans and chill in refrigerator. No one has attempted a calorie count, but it’s estimated that each piece contains about 47 gazillion calories. Dieters, beware!